Your beer-to-go guide, plus cheers to National Doughnut Day! • Proclamation Ale has “super-fresh” bombers of Derivative: Galaxy, plus growlers/tastings of The Stalk [double IPA] and the “fruity funkbomb” Keraterra [Friday 5-8 pm and Saturday 1-5 pm]. • Foolproof has a fab four [Barstool, Backyahd, La Femme Urbaine, and King of the Yahd] for growler fills, plus a special cask for tastings: LFU with ginger and lemongrass. • Crooked Current is offering Immorality Pale Ale, Kickback American Wheat, and heralds the return of the Raspberry Wheat ale. • Grey Sail has its usual stellar lineup: Flagship, Flying Jenny, Hazy Day, Captain’s Daughter, Great Ketch, Avenue N, and Pour Judgement. And don’t forget the new Friday hours: 4-7 pm [formerly 3-6; also note that they’ve added Wednesday and Thursday from 4-7 to the summer schedule], plus Saturday and Sunday from 1-5 pm. • And hit the websites for the Bucket, Ravenous, and Whaler’s for updates. A recent conversation re: the cost of beer reminded us of this very informative piece, “Here’s How a Six-Pack of Craft Beer Ends Up Costing $12,” by Joe Satran at The Huffington Post, which we linked to waaaaay back on 11.1.14 in our first Saturday-beer-read-roundup. You should take the time to read this one [or at least look at the handy beer bottle chart which details how much of the cost goes to each stage of the beer-making/taxing/distributing/retailing process]. It’s National Doughnut Day! And unlike the other faux “holidays” we cite here, this one’s for real: SFGate.com says it began it began as “a patriotic remembrance of the time in World War I when Salvation Army volunteers handed out doughnuts on the front lines to soldiers. The doughnut-dishers were all women dubbed ‘doughgirls,’ and at the time, the plain cake yummies were just exotic European creations.” In 1938, the Salvation Army established the first Friday in June as National Doughnut Day. 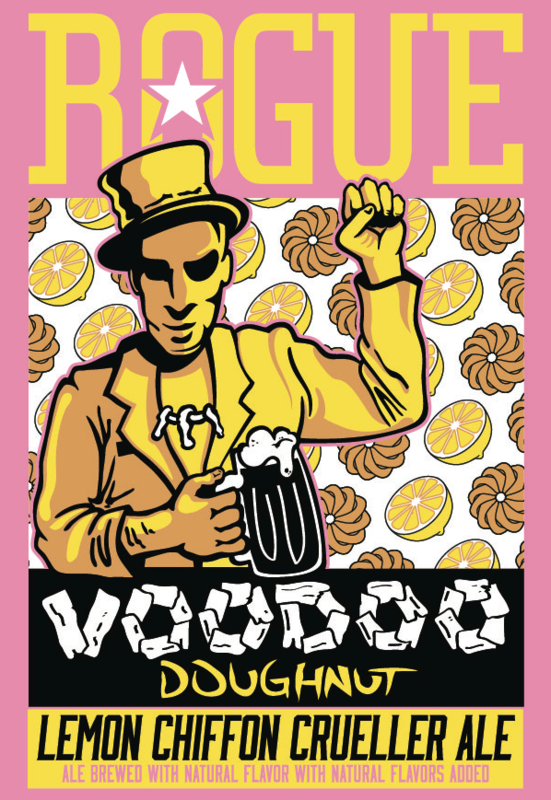 There’s a beer tie-in, of course: you can toast NDD with Rogue’s Voodoo Doughnut Lemon Chiffon Crueller Ale, the third brew inspired by Voodoo Doughnut in Portland, OR [their motto: “The magic is in the hole”]. Bottles [750ml] of the 6.9% ABV curiosity are available at Nikki’s Liquors [we just called ’em] and other better beer stores. 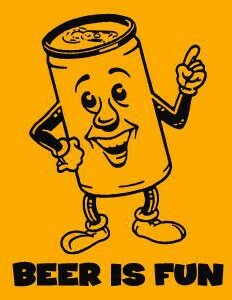 The beer inspires rather polarized reviews, but if you’ve been tempted to give it a try, today’s the day.